Being a first-generation entrepreneur is tough as it is – but, tackling two of the world’s most pressing problems with her startups is even more so. 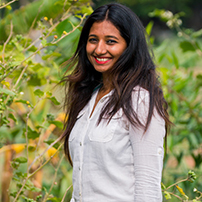 But with a passion and vision towards making the world go organic and ecofriendly, Divya Shetty co-founded Indian Superheroes, a startup working with marginalized tribal and rural farmers from southern India. Starting with merely 2 organic farmers back in late 2015, ISH now works with over 843 organic farmers and enables them to make low-cost value additions to agricultural produce, and upsell over 180 products to customers directly without middlemen intervention. Millet icecreams, noodles, cookies, beauty essentials, cold-pressed oils and many more – all made by the farmers and associated NGOs. In addition, Indian Superheroes conducts various farming masterclasses, where city dwellers get a chance to learn organic farming directly from the farmers themselves, by renting or leasing portions of farmlands. While working with the organic farmers, she began to understand that widespread deforestation is one of the primary reasons behind severe droughts and floods that caused heavy losses to farmers. Investigating the cause for deforestation gave birth to her second venture – Plantcil – ecofriendly pencils with one intention – to curb massive deforestation that impacts the environment and causes climate change. With a focus on the current generation Superheroes – the farmers, and the future generation Superheroes – the kids, Divya hopes that Indian Superheroes and Plantcil will go on to spur a movement that people will join hands with. The silent, organic & ecofriendly revolution has just begun.